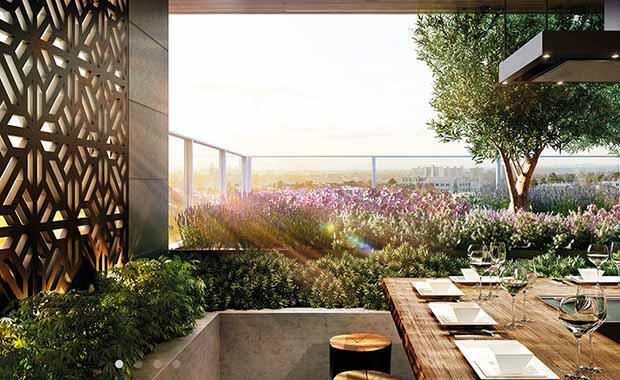 The project will be the fifth West Melbourne apartment development project for the company and will be named Ikebana. The property will have 241 apartments however Mr Gurner told The Australian that the project has already received over 500 registrations of interest. The project follows Mr Gurner’s successful Brisbane project where 630 apartments were sold in just 14 weeks last year. Mr Gurner told The Australian the Melbourne project has been split over three buildings with the largest building accommodating 92 apartments to appeal to the owner-occupier market and to differentiate the project from the large-scale high-rise apartments that now dominate the CBD. The Japanese culture inspired complex will house two spa retreats, a moonlight cinema, a teppanyaki grill, karaoke lounge and covered outdoor lounge and dining areas. The Elenberg Fraser designed project will also include a Japanese garden. “As a development strategy we like West Melbourne not only due to its impressive rental yields, sustained median house price growth and relative affordability when compared with nearby suburbs like East Melbourne, Carlton and Fitzroy, but also due to the strong interest from owner occupiers,” Mr Gurner said.